This is pure home-brewed filmmaking, where it stars Swanberg, his baby son Jude, probably his Swanberg house, and maybe even the Swanberg laptop that he uses to edit films like “Happy Christmas” on. There is all definitely an intriguing factor, then, in seeing numerous actresses like Kendrick, Lynskey, and Dunham within this small movie. It’s working indeed, his endeavor to strip down film storytelling to its au naturale. Swanberg’s latest uses numerous extended sequences for regular non-movie star activity (whether relying on phone GPS to find a Chicago apartment, flirting awkwardly in said Chicago apartment, or just sitting on one’s bed, this movie has our lives within it). The large issue is that there isn’t much else there outside of these presentations themselves, with Swanberg capturing and presenting mundane actions as if to represent them with his new power of movie stars. “Happy Christmas” is little more than what its sentence-long plot means, a story of a woman putting her life together while staying with her brother, and then she begins to bond with her sister-in-law. Outside of its existence as movie production anomaly, one has to find the spots within “Happy Christmas” that push it towards making it worthwhile. Lynskey’s performance is the most directly satisfying factor, playing a supporting character with more to intrigue than Kendrick’s lead, or even Swanberg’s filmmaking. As Kelly, she presents a stress of parenting without explosive catharsis, instead she harbors internal fatigue that has left her feeling a bit trapped. Lynskey plays with finite nervousness the bashful side of a person who takes her role as mother and wife very humbly, especially in the movie’s top scene and emblematically kind-of-interesting moment where she uncomfortably deflects compliments from much looser characters played by Dunham and Kendrick. Aside from that, there a few special moments to be found in the wistfully formal “Happy Christmas,” an albeit different step forward for low-budget storytelling. Its usage of Kodak film stock provides a grainy home movies feel that makes for some funky lighting, and nonetheless a curious departure from his digital filmmaking. There’s certainly a handful of nice honest touches within this film from the nonfictional characters borne from linear personalities. But “Happy Christmas” gets a little greedy with its simplification, until there is hardly a story there, with events and beings playing out as naturally as possible for good or for bland. Perhaps appropriately, this film that was previously available on VOD now arrives to DVD zero special features. “Happy Christmas” follows a subtle narrative that may seem like a very real piece of domestic drama to anyone. Jenny (Anna Kendrick) crashes at the home of her brother (Joe Swanberg), his wife Kelly (Melanie Lynskey), and their son Jude (Jude Swanberg). She’s just gone through a bad breakup, and is attempting to pull herself together. She spends time with her friend Carson (Lena Dunham), and catches the eye of a guy named Kevin (Mark Webber). Jenny creates tension with her hosts after her irresponsible behavior puts their house at risk. Meanwhile, Kelly seeks to liberate herself from the constant pressures of taking care of her son by working on a new novel. 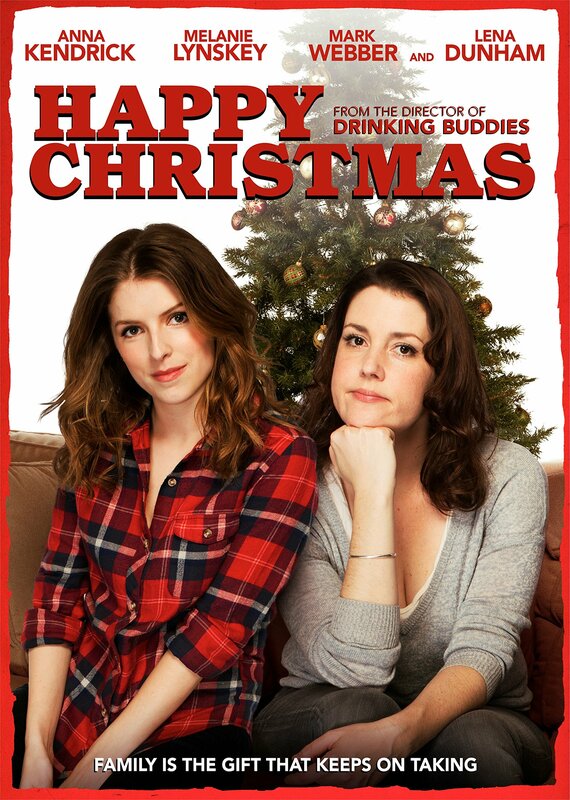 ”Happy Christmas” was released on DVD on November 11, 2014.